The holidays are upon us, and while many families like to travel, here in the D.C. region many military families choose to stay put, because why not have the family come to you? After all, there are multiple sites to choose from during the holidays to show off what the area has to offer. 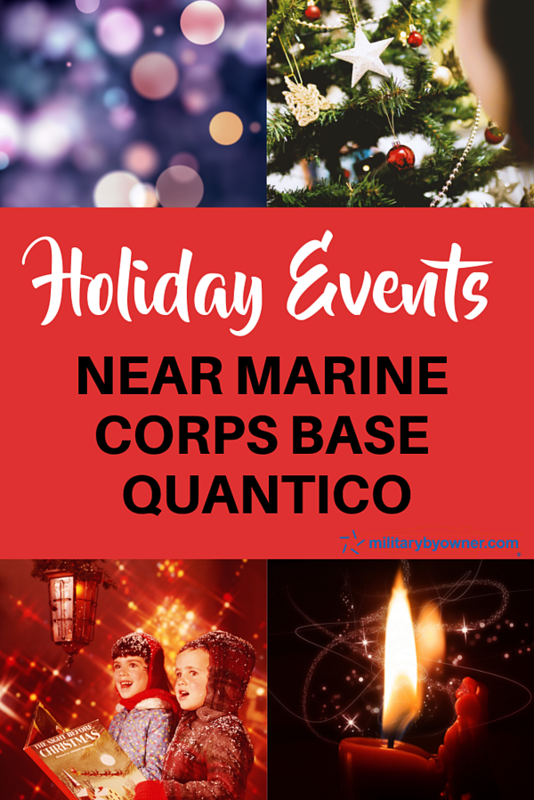 As you make your list of places to show family and friends, you might want to include some of these locations and events near Marine Corps Base Quantico. If you plan to head into Washington, D.C. be sure to swing by the National Tree. The National Tree was officially lit on November 28, 2018. The tree will be lit daily from dusk until 11:00 p.m. as part of the America Celebrates display, which is open daily, so check times before you head over. 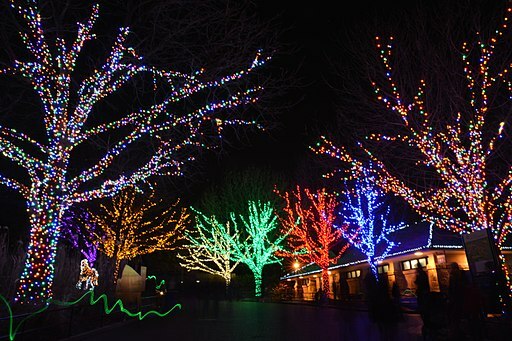 Another great stop is the National Zoo for Zoo Lights. Free admission and a spectacular winter wonderland of lights, along with entertainment, a play area for kids and, of course, plenty of goodies for all to try. This display runs until January 1, 2019, however, be sure to check, as it will be closed for the holidays December 24-25th and 31st. Another great light show not too far from home is the Bull Run Festival of Lights. Every year from Thanksgiving to just after New Year's, this is a spectacular event for the whole family, and you get to stay in your warmth of your car for 2.5 miles of lights. Then be sure to stop and visit the holiday village to purchase some goodies or souvenirs. Avoid the crowds and come by during the week, where there is also a reduced admission per vehicle. If you head south to Spotsylvania the Village at Towne Center, you can experience Concert in Lights from now until December 24th. Shows nightly at 6:30 pm, 7:30 pm, 8:30 pm, and 9:30 pm. Right out the front gate of MCB Quantico is the hidden gem for all Marines and military families. The National Museum of the Marine Corps is open daily from 9-5 every day except for Christmas Day. With admission free along with the parking, you won’t want to miss out on what the museum has to offer during the holidays. The museum has been decorated for the holidays and, depending on the day you visit, you might be treated to live musical entertainment, a visit from Santa, or even a Marine Corps event such as a promotion ceremony. There is also a Children’s Gallery, so yes, there is something for every age! You never know what you will be able to be a part of when you enter the museum. 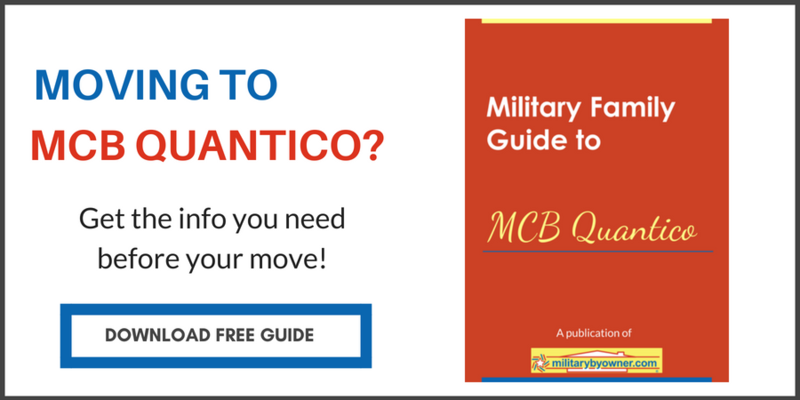 Planning to head north of Quantico? Consider George and Martha’s estate for "Mount Vernon by Candlelight." A candlelit character tour takes you back many centuries to understand their holiday traditions. Be sure to check the Mount Vernon website for dates and tickets. 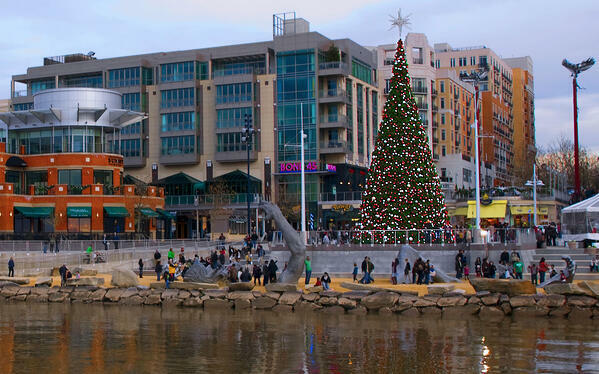 Heading even further north, plan a day trip to National Harbor where the entire area is decorated for the holidays. So many options to choose from; there's fun for all ages! From shopping and holiday movies on the weekends to Gaylord National’s ICE, there are too many options to choose Plan to start and end your day there and be sure to check for military discounts. Photo by Scott Suchman Ford's Theatre. 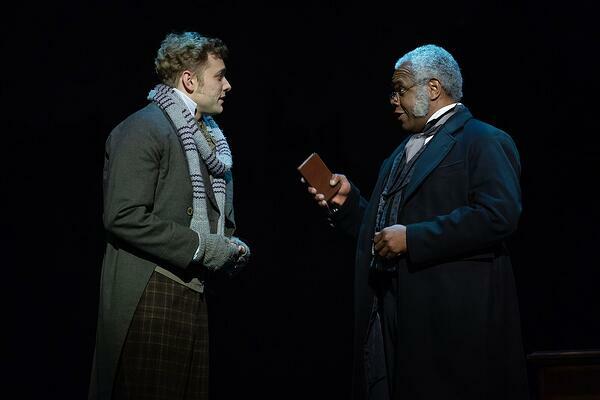 Gregory Maheu as Bob Cratchit and Craig Wallace as Ebenezer Scrooge. It wouldn’t be the holiday season without Charles Dickens' A Christmas Carol, currently running at Ford’s Theatre. This is an annual tradition for many D.C. families, so order your tickets now. The National Cathedral holds various choral performances each weekend. A wonderful place to visit year-round, the cathedral is decorated and filled with festive music. Be sure to call and get your tickets now. The cathedral will also be open for services and offers some unique holiday finds in their museum store. As we head into this holiday season, be sure to take the time to slow down and enjoy the time with family and friends near and far. While all these locations are great to visit, there is nothing like time with those we love. As military families, we know that probably better than anyone! Consider starting a new tradition this year and enjoy the time you have with one another, for the memories will live on for years to come.